Finally! It took some searching, and help from one of my fabulous sisters, but I found the material for the Saints and was able to make some hats for a customer. The store that ended up having it is about 100 miles away from where I live, but my sister was headed this way for Thanksgiving so she picked it up for me. Making these hats has been a fun little adventure. It's interesting to find out which teams will release their logo for fabric prints and which ones will not. One of the teams I was asked to search for, I was able to find yet it was over $100 a yard. WHAT is up with that? Now, I'm off to make a Steelers hat. I hope everyone had a good weekend. The rivalry between my brother and his 3 sons is Denver Broncos and Dallas Cowboys. I admit that I enjoy watching sports on tv, but have never had a "Favorite" team. It is entertaining to watch the fanatics while their team is playing though. These Mohawk hats are a great way to show team spirit! Christmas is just around the corner and a team hat would make the perfect gift for the sports fan in your family! I have many team logos available - college and NFL. If you are looking for a specific team, email me at craftingfriends4you@yahoo.com and I will let you know if it is something I have or can get. There are 4 sizes available: Newborn, Small (toddler), Medium (up to 24") and Large. The latest Bzz Campaign I have been involved in is for Krogers Brand cookies. "The truly Awesome homestyle chocolate chip cookie" as it is called. I personally wouldn't call it "Truly Awesome", but they are a good cookie if you like hard cookies. I received 2 free boxes to try out and give my opinion on. There are 8 good sized cookies in each box and they retail for $2.79 which is comparable to others I've noticed. The flavor is good and you can warm them in the microwave. The plus side of these cookies is that they are free of added preservatives and artifical colors - if any of you watch this stuff on ingredients. I, as most of you know, love to cook and therefore am quite picky when it comes to food. I refuse to cook boxed cakes (there is no comparison to a homemade cake) and other than oreos, I rarely buy cookies at the store. I prefer soft cookies. I would consider buying Kroger's "truly Awesome" cookies again for picknicks or get togethers. I do have coupons for $1 off a box. If you would like to give them a try, let me know and I will send you a coupon. I finished the Blue Angry Bird last night. I had sewn on the beak before I realized that it should go over the eyes a bit, but I think it still turned out ok. I also was able to get more soft yarn the other day, so I made another newborn owl hat. The first one was red - and I thought really cute, but was told it looked a little more boyish than for a girl. My thoughts when I made it were Christmas, but the green was a little to much. It's a good think it doesn't take me long to make these. What do you think? I finished my first owl hat this morning for a newborn girl. I didn't have any Caron Simply Soft in pink, so I just used what I had. With Christmas on the way, it should work for someone. I like the hat pattern I have, so I didn't think it was worth the money to buy a pattern for an owl - just for eyes and a nose, so I made it up myself. I also took a picture of my 1st version of the Red Angry Bird. I will be making a few changes on the next one, but I like it a little better than the pattern I tested. Which do you like more? I had the opportunity to test an Angry Bird hat pattern for someone last week. It wasn't one of the easiest patterns I've tried to follow and I will most likely be banned from testing her patterns again, but here is the result. As you can see, my girls were thrilled! I have since made another one, but used a different hat pattern and changed the eyes and feathers on top. The eyes on this pattern just poked out to much for me and I wanted the feathers on top to be connected. I'm not completely satisfied with the changes I made and will probably adjust it a little on the next one. I have 3 hat bases completed today and will finish a Black Angry bird and an owl this weekend. I'll post pictures when I'm finished and would love to hear some feedback. Tomorrow we will be having a birthday party for Brook (3), so it should be a great start to the weekend for us. I hope you all have a fabulous weekend - go out and have some fun! I am in love with this Red color from Red Heart. It is called "Really Redand is extremely soft - yet it is just the regular Super Saver yarn. 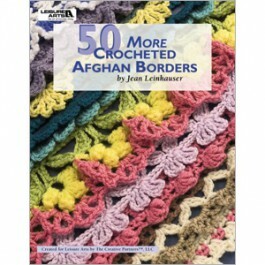 The richness in color makes me want to make an afghan for my bedroom. (hmmm...I just might). It was perfect for the San Fransisco 49rs hat and I'm thinking of making some with my daughters High School letters with it. The material I ordered for Raiders and Cowboys logos was received at the store yesterday, so I will plenty on hand for more orders. Each hat sells for $20 shipped (cont US) To order, leave a comment on the blog, or email me at craftingfriends4you@yahoo.com with the information. It's official! After making my own applique for my daughters hat today, I will no longer be ordering them off the internet - unless I'm in a bind. It is a little time consuming to cut everything out, but it seems to be a little stronger than what I have received so far. This will give me way more options than depending on ebay. I have logos ready to make Utes, BYU, Steelers and more CareBear hats. I have material ordered for Raiders and Cowboys and if the logo for my nephew's Broncos hat works, I will order Bronco's material also. Not all teams have material available and some that is available wont work for a hat applique, but if you would like to order a hat for a different team, let me know and I will see if it can be done. I charge $15 for each hat and $4 shipping if it needs to be shipped and can usually complete it in a day or so if I have product already. 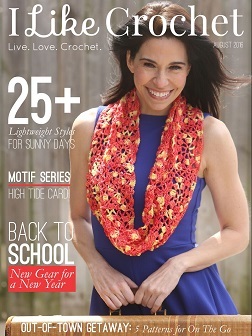 I have patterns for 3 different sizes and they would make a fabulous gift for anyone!